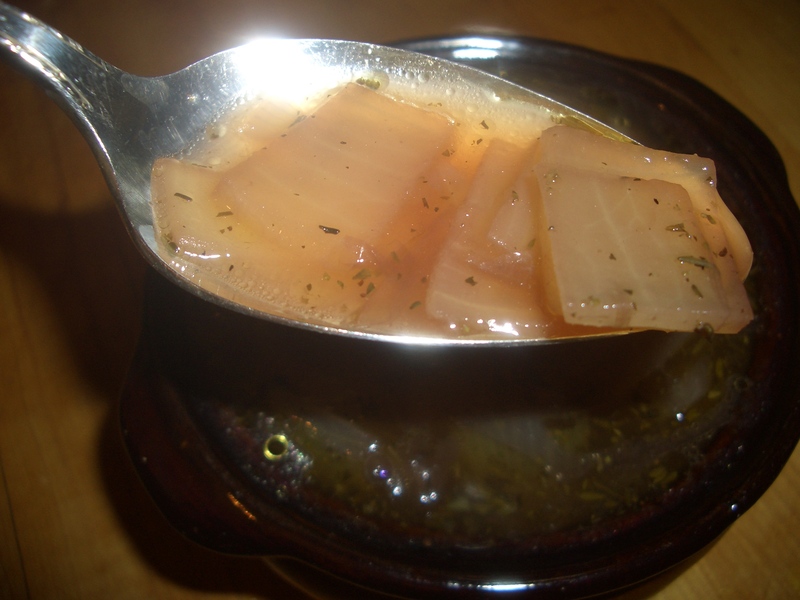 I have always loved onion soup and I have many memories associated with it. The best version I ever had was at The Brasserie at 1a.m. with my college boyfriend. The soup was super hot with melt-in-your-mouth onions, a piece of bread saturated with savory soup just slightly sweet from the onions, and tons of ooey-gooey perfectly melted cheese – sheer heaven – and, of course, I was in love – everything tastes blissful when you’re in love. The next is a restaurant that was my family’s favorite Georges Rey. We would go there to celebrate birthdays, anniversaries, graduations, etc. I’d always order their onion soup as my appetizer – it was awesome. 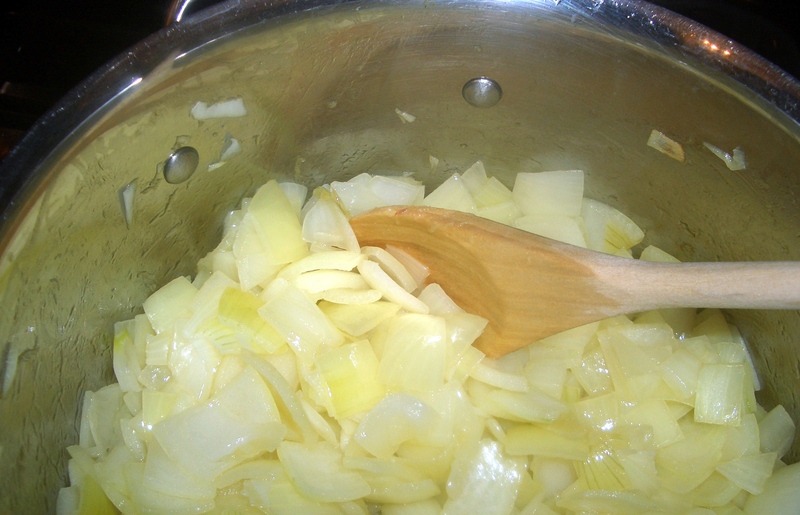 My first attempt at making onion soup was when I was “baby sitting” my best friend who had had surgery. I made the soup and it quickly became our favorite (turns out another friend of hers came to pay a visit and that was the first time I met her future husband). 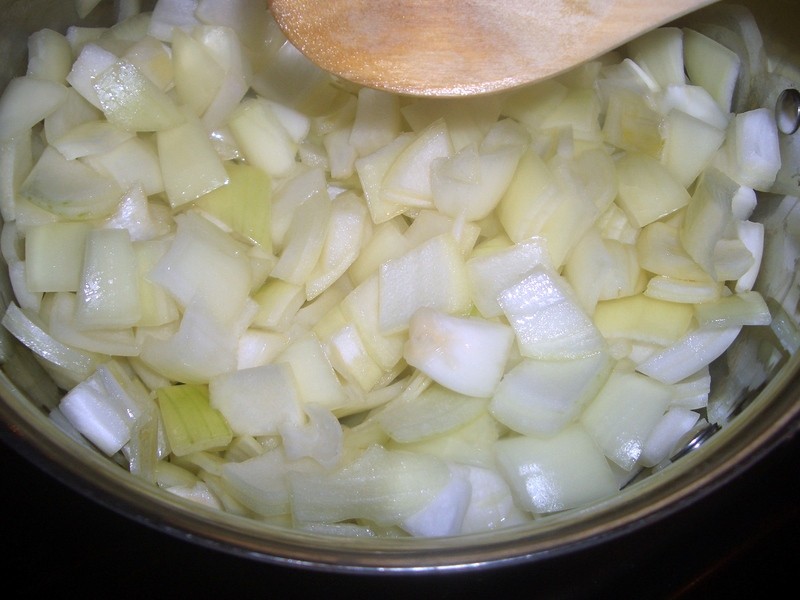 Fast forward a billion years and I’m giving up dairy, but I had cooked some onion soup earlier in the week, I might as well just try the soup naked. Surprisingly, it was delicious – even without the cheese or the bread. 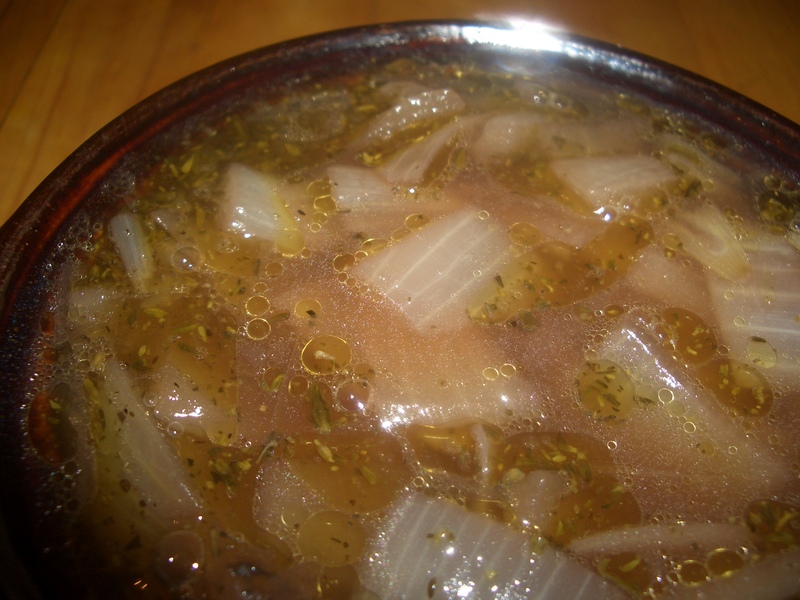 Now-a-days onion soup is just one of those things I like to have around for when I’m craving some comfort food or maybe just want some happy memories. This delicious soup is easy to make and you probably already have the ingredients for it in your pantry/liquor cabinet. Bon Appetit! 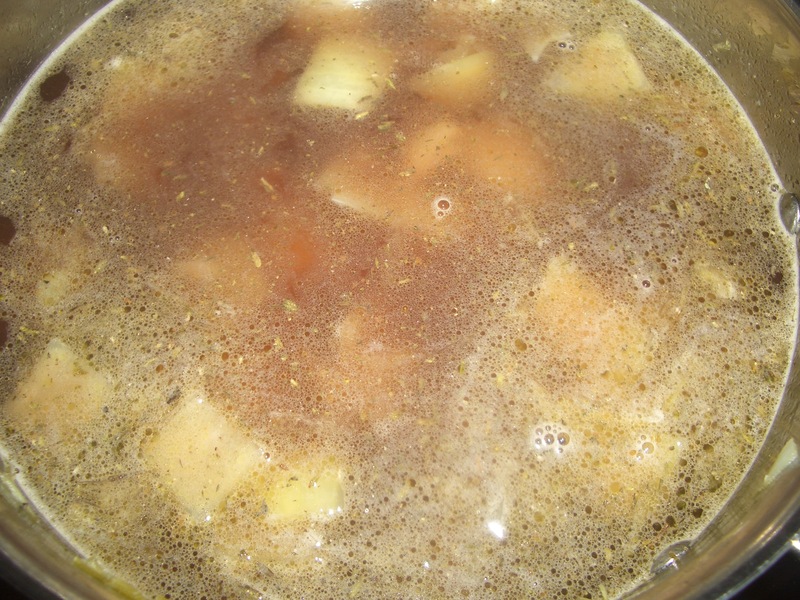 Although beef broth is traditional, chicken or vegetable broth are also good. 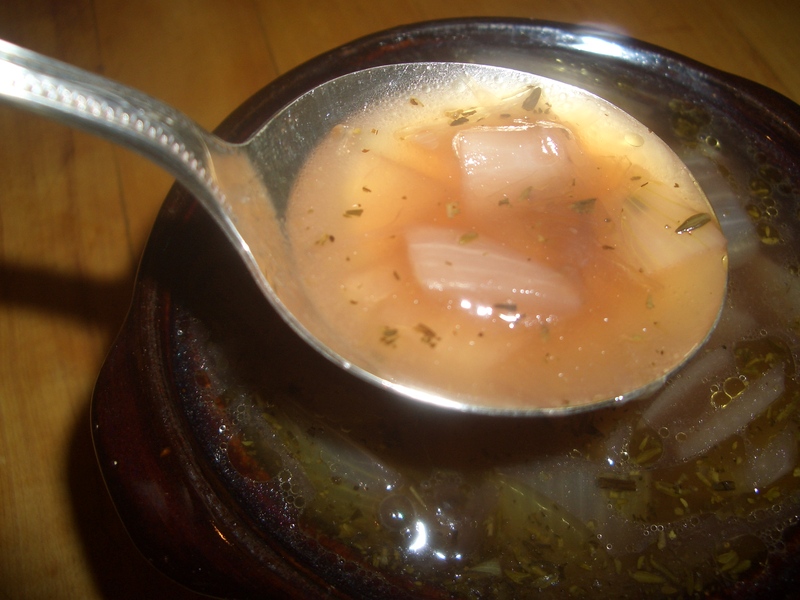 Although the vermouth is optional, it adds another layer to the flavor of the soup and worth buying a bottle for this recipe. Reduce heat and simmer, covered, 50 minutes. Discard bay leaf. Season with salt and pepper if needed. I too have happy memories of tour onion soup so will happily try this one!